That friday we have a exclusiv mix by Dexter Dub within brand new upcoming Album called Dubbylon Soldier. 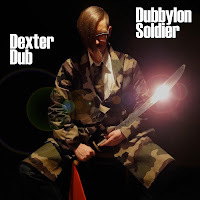 The mixll has a central feature of Dub music, such as heavy bass lines and sounds dubbing into space, but each one tries to establish his own concept. The pieces do have different moods, tempi and are rooted in different cultural backgrouds. Take notice and don´t miss that heavy stuff and get in touch for the first time with it sound. 13.06.2014 7pm live @ www.raggakings.net! !